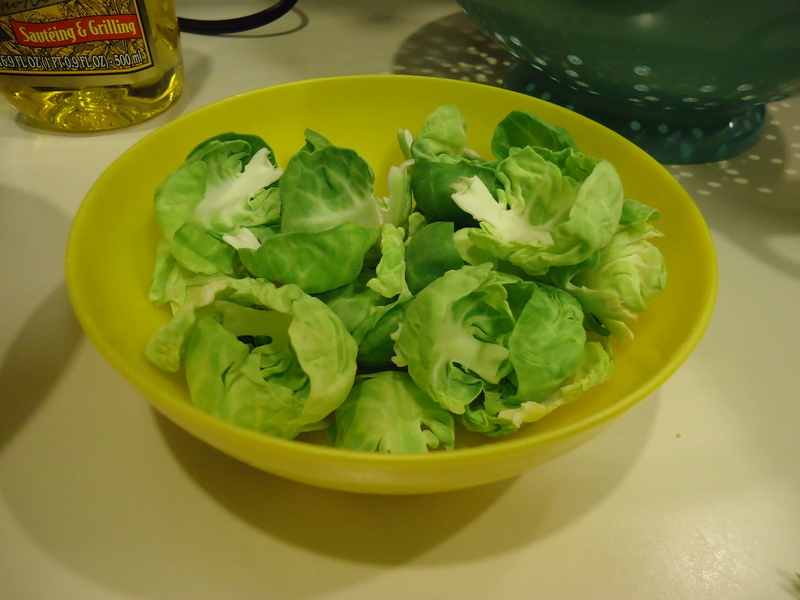 Last week was a brussels sprouts kind of week. After getting a large bag from Costco we had to find a lot of different ways to use these them in order to make sure none went to waste! 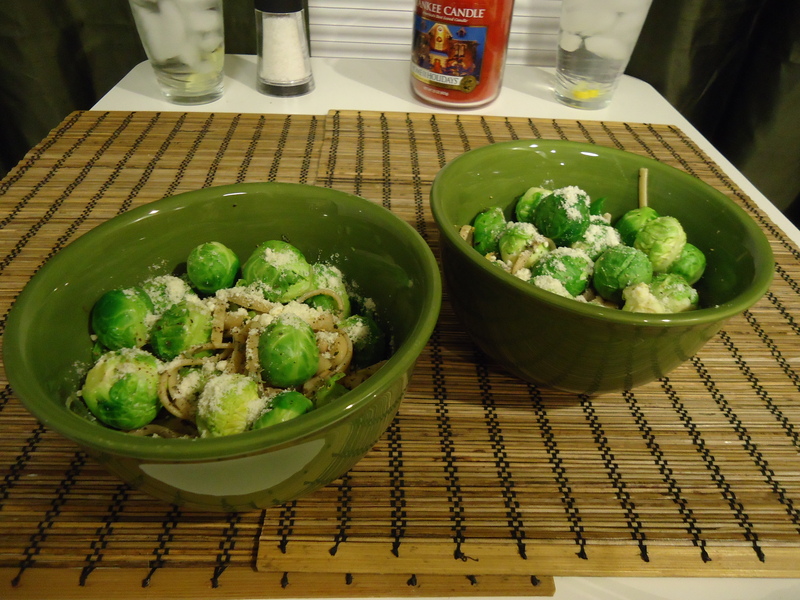 We were craving something light for dinner and this recipe was the perfect creation. This recipe serves two. 1. Cook pasta according to directions. 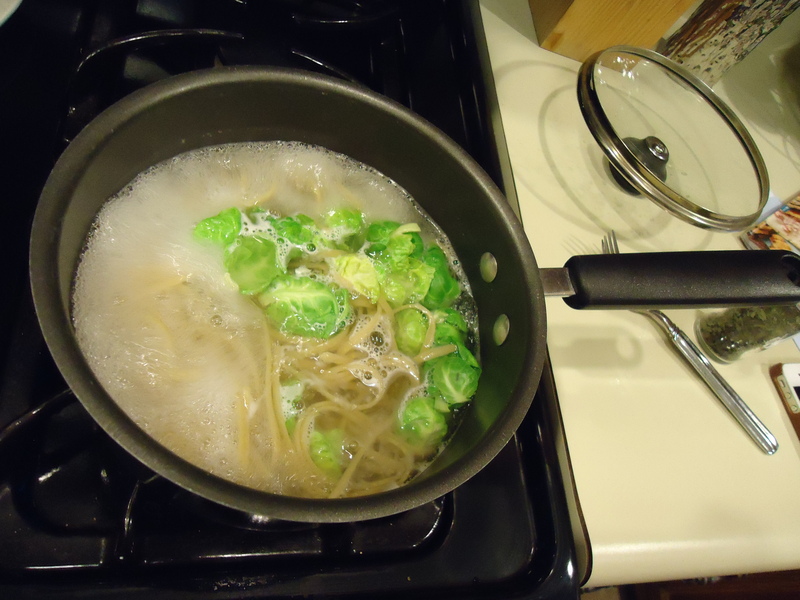 When one minute is left, add the brussels sprout leaves, drain with pasta. 2. 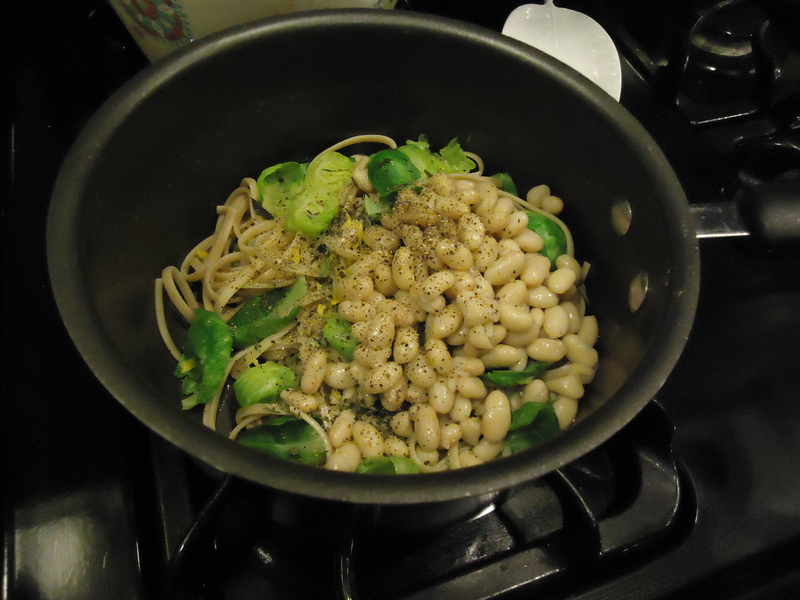 Toss cooked pasta with olive oil, dried basil, cheese, lemon zest, white beans, and fresh cracked pepper.